Entering his 21st season at Kansas in 2018, Bechard has led the Jayhawks to a 374-240 (.609) mark, including a 152-38 (.800) record since 2012. In all, the hall-of-fame coach has taken KU to the 2015 Final Four, won the 2016 Big 12 title, earned Big 12 Coach of the Year four times, and overseen nine All-Americans during his time at KU. Entering his 21st season as head coach of the University of Kansas volleyball program and 34th overall, Ray Bechard has led the Jayhawks to unprecedented success on the court and in life. During his 1,000-win career, victories have been the product of a goal but not the goal itself. Joe Sagula, one of the most successful coaches in college volleyball, completed his 28th season at Carolina in 2017. UNC’s winningest volleyball coach in history, Sagula has won seven ACC championships and led UNC to 14 of its 18 NCAA Tournament appearances. The Tar Heels are 591-323 under Sagula, a .647 winning percentage. Sagula is 794-446 (.640) over a total of 37 years as a Division I head coach, with 11 regular-season and six conference tournament titles. Sagula has the most ACC wins of any coach in history with 320, and his seven ACC titles ties for the most all time among the league’s coaches. Paula Weishoff returned to coach the Concordia University Irvine women's volleyball program in March of 2015. 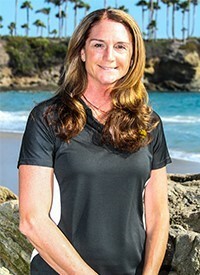 Weishoff, who led the Eagles from 2004-2008, left CUI in 2009 to become the head coach at UC Irvine, where she completed six seasons. She has an all-time record of 186-51 at CUI, the program’s all-time winningest coach. The Eagles claimed the first PacWest Conference Title for Concordia in 2016 with a 17-3 conference and 26-3 overall record. In 2015, she coached three All-PacWest selections and led CUI to wins over Point Loma and Azusa Pacific. All told, Pfeffenberger has 12 years of Division I coaching experience as either an assistant coach, associate head coach or head coach. She also had coaching stints at Dayton (2005) and Youngstown State (2006-07). In seven of her 10 years as an assistant/associate head coach, she helped her teams capture winning seasons - including trips to the NCAA Tournament in both 2005 and 2012. Pfeffenberger also helped teams win 20 or more matches in a season on five occasions. Pfeffenberger played collegiately at Dayton from 2000-04, where she participated in two NCAA Tournaments and was named the Atlantic 10 Player of the Year in 2004. She was also tabbed an AVCA All-American in 2004 and was named to the CoSIDA Academic All-American Third Team.